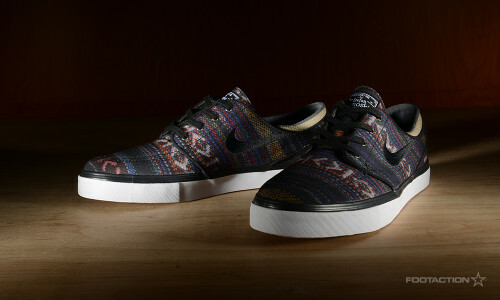 The Nike SB Janoski “Hacky Sack” is for those who kickflip or just straight kick it. This evolution pairs the ever-popular Janoski sneaker with the fun “Hacky Sack” graphic treatment over the entire upper of the shoe. Complete with a white midsole and a gum outsole, its design is based off of the boat shoe but built for skate. How will you rock these — for lounging or cruising? Print article This entry was posted by hhcblog on April 26, 2014 at 6:19 am, and is filed under Footwear. Follow any responses to this post through RSS 2.0. You can leave a response or trackback from your own site.